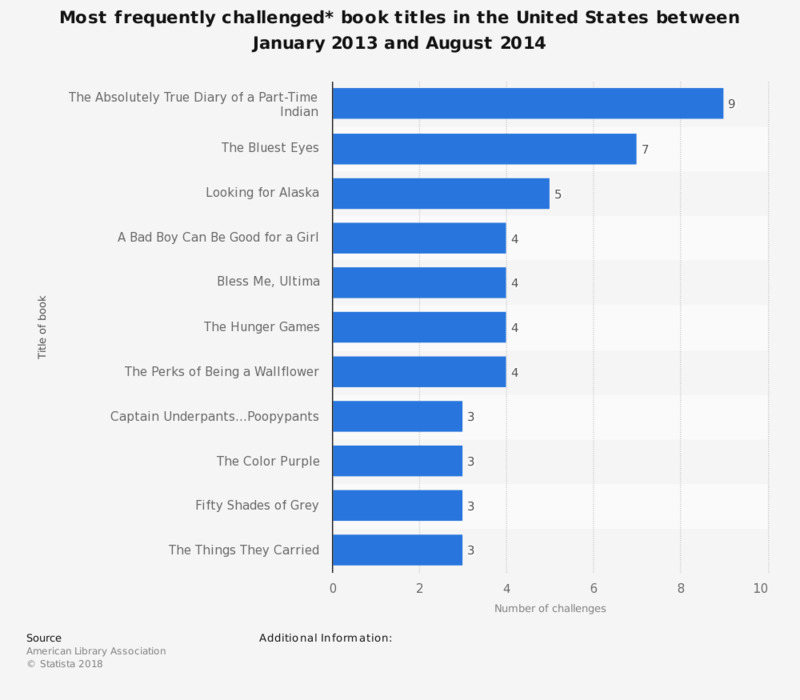 The statistic illustrates the most frequently challenged book titles in the United States between January 1, 2013 and August 6, 2014. In that time the novel 'The Absolutely True Diary of a Part-Time Indian' by Sherman Alexie, aimed at young adults and originally published in September 2007, received nine challenges. * The source provides the following explanations: "A challenge is an attempt to remove or restrict materials, based upon the objections of a person or group. A banning is the removal of those materials." "The data is based on reported challenges and does not account for those that go unreported."